These will not be sponsored posts. I'm simply going to share items which I've come to love and use every day that you may find interesting. The posts won't be long. They'll usually have only one or two images and a resource if it's needed. I'll also share the reason(s) that I use them. Today's element is personal. It's not about home decor or crafts. 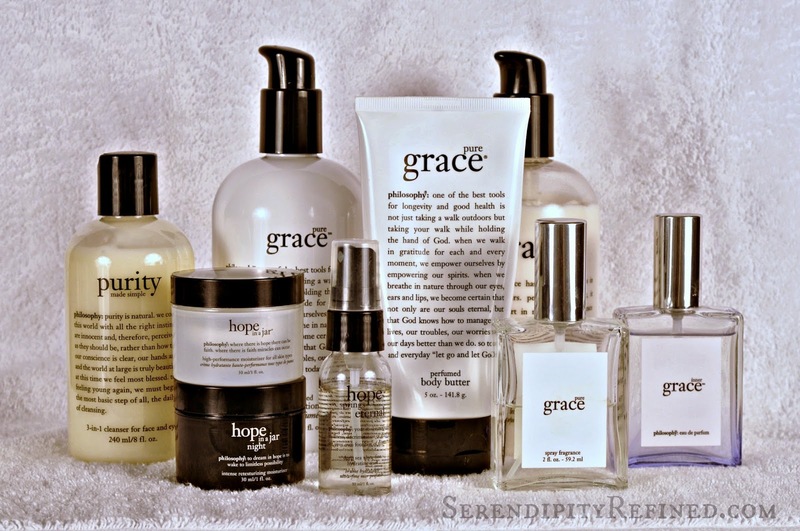 Today, I'd like to introduce you to my favorite every day skin care and fragrance: philosophy grace. I found the brand in 1998 and again in 2001 through their work with the Christopher Reeve foundation (now the Chris and Dana Reeve Foundation). 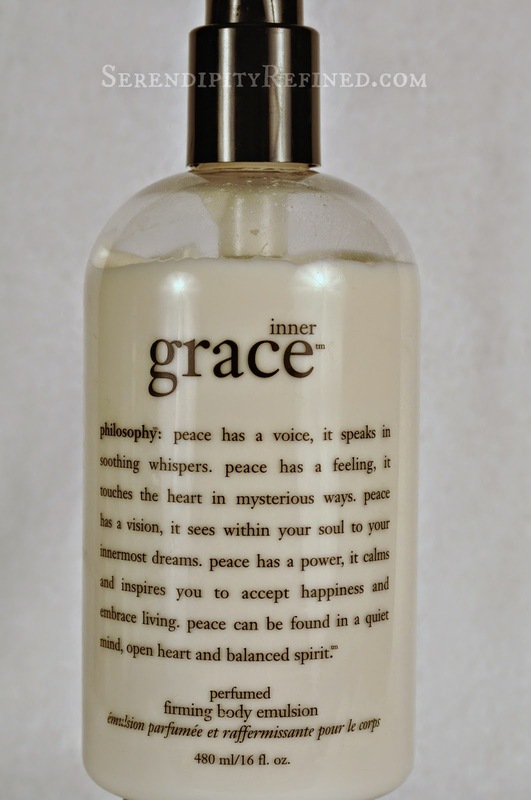 With names like grace, purity, and hope and fragrances that evoke images of fresh air and soap and water combined with uplifting wording on the packages, I was hooked immediately. When I found out that they donate 1% of their profits to mental health and wellness and 100% of the profit from the sale of one of my favorite products to the Reeve foundation, I became a lifelong fan. They encourage users to believe in themselves and in miracles. The company's inspiration words are: approachable, inspirational, logical, honest, compassionate, warm, playful, strong, comforting, real. These are the traits that I work to embody and I think that we all look to identify in ourselves and it's nice to use a product by a company who gently reminds me a couple of times a day. Below are the words that I've been "waking up to" nearly every day for the last three years (because they're printed on my shower gel). The fragrance is clean and simple, pure and even a little humble. It smells clean, like soap and water.. It's the fragrance that I wear every day and the words that I live. Teacher and Student. 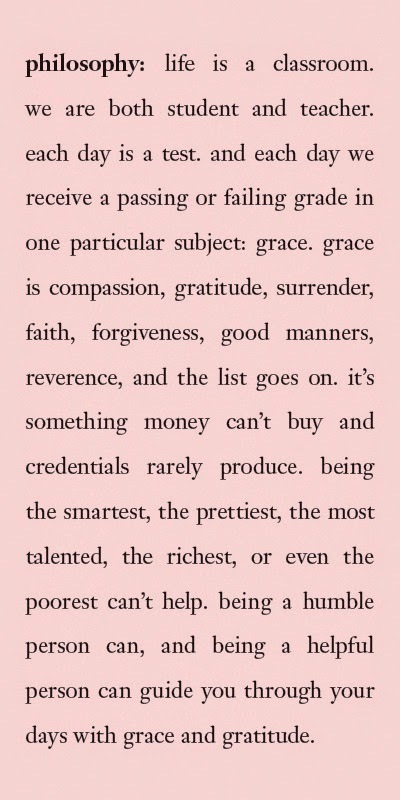 Grace and gratitude.